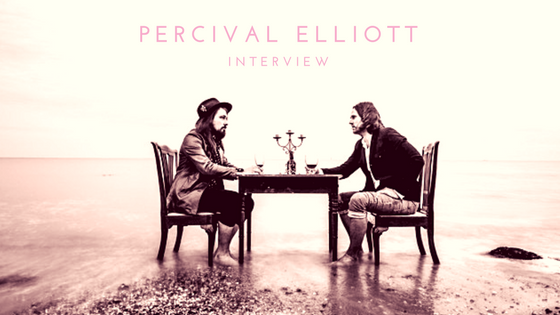 Olly Hite and Samuel Carter-Brazier were writing songs together under the name ‘Carter & Hite’ when Hite’s father showed him an aged wooden trunk full of possessions once owned by his great-grandfather, Percival Elliott. Carter-Brazier remembers Hite bringing over an old doctor’s bag full of Elliott’s possessions. It was in that moment that they knew their musical endeavor should be named after the legacy left behind by the late Percival Elliott. Originally, both worked for an antique dealer and spent decent portions of their days travelling. It was Carter-Brazier that made their mix tapes for the road, opening Hite’s musical tastes to beyond his background. It didn’t take much time before they were playing music together. They both share a fondness for any genre of music; they constantly share new tunes with one another, citing Spotify as the “holy grail of music exploration”. It explains why their upcoming album, Save Your Soul, engages in a multitude of musical influences.